I was on Pinterest the other night(thanks DK for convincing me to join that addiction lol). I was looking at Valentine's Day projects when I saw a quilt that I loved. 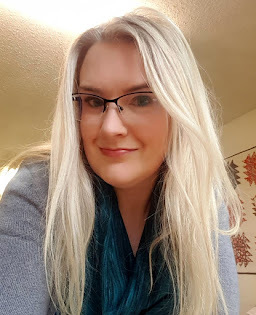 So I popped on over to the blog to get the details when I noticed a comment on the post. The sister of some school friends is fighting cancer right now. She has been in the hospital for the past 3 weeks; things haven't been good. 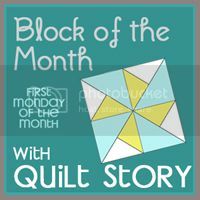 And when I saw that she had commented on the blog post about wanting to make the quilt, I knew I had to do it for her. So simple and yet so striking. I had just enough of the red print so I started cutting. It didn't take longer than a hockey game to put it together. I wanted to keep the quilting simple so I went with a meander. I didn't want anything to take away from the simplicity. Last Monday I meet my friends at the hospital and delivered the quilt for their sister. They were allowed to hang it in their sister's room for her to look at. Knowing that I brought a smile to her face make; I would have made her a hundred more. I hope the quilt does bring her some smiles during this difficult time. That is just wonderful. I am sure she was thrilled with it. The quilt is absolutely stunning, and three sisters wiped our eyes as we admired it`s beauty. The quilt is beautiful, but what is more beautiful is the love and comfort that it represents. Thank you Rhonda for reaching out! What a special gift. I know that it will be treasured. From a friend of the same friends.